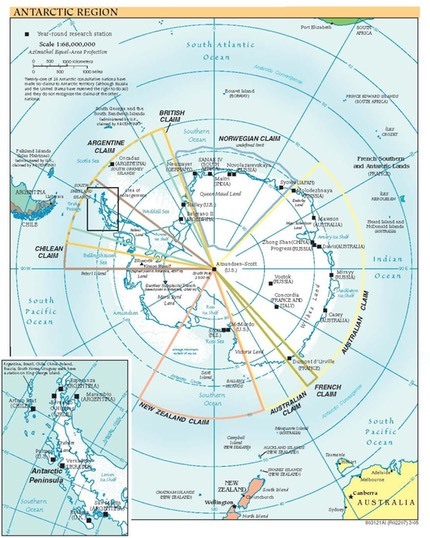 We fulfilled a long-held ambition to reach Antarctica, our 7th continent. 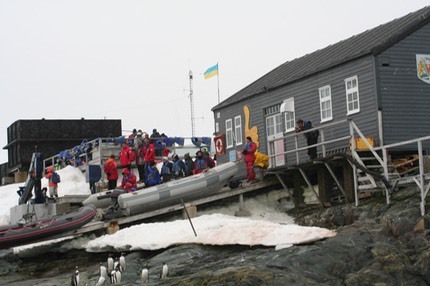 We chose Peregrine as our company and sailed on the Akedemik Sergey Vavilov from Ushuaia. 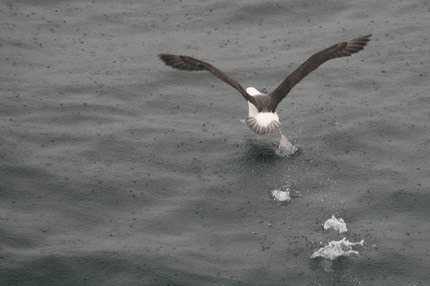 A flat Drake Passage saw us make record time in reaching the continent with plenty of bird life to see on the way. 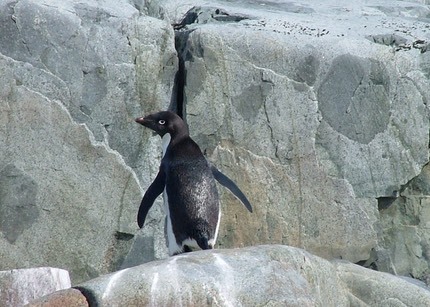 We were awoken on the 3rd morning with news that the ship was about to pass through the narrow Lemaire Channel. Awesome is the only word to use for everything down there with high peaks, glaciers pouring into the sea, icebergs calving off these and so much ice floating around. We were to have 10 separate trips over the 5 days we were there. We had pre-booked the kayaking options so were to have 7 kayak trips (with some landings). 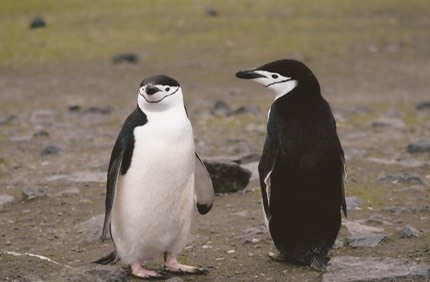 One was a visit to a research station, one to a Chinstrap colony and one to an abandoned whaling station in a volcano caldera and an optional swim. Full dry-suits were mandatory for kayaking here with a minimal chance of survival in the sea without one. 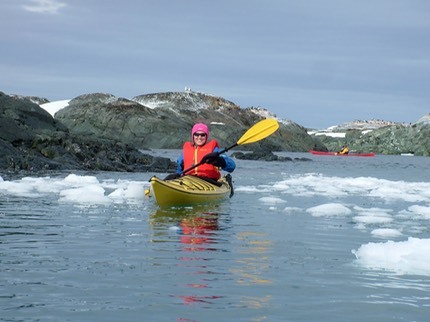 We kayaked around ice-bergs, through brash ice and had leopard seals and penguins come up to inspect us. We got the opportunity to use singles and doubles and soon got used to launching from a zodiac. 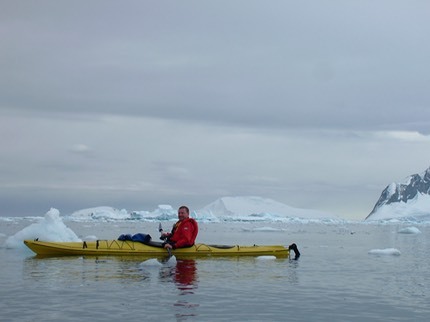 On one memorable trip the weather came down hard and we were paddling into driving snow with fairly poor visibility which took away any complacency that had built up. It really was the best of both worlds as we always had the option to land half way through the 3 hours if the shore-landing was interesting as well. We only exercised this 2 or 3 times. The other advantage we really enjoyed was the absolute silence away from the other zodiacs taking everyone else to land as there were only 10 paddlers plus Chad the Kayak guide.. The Ukraine bought the Faraday research station from the UK for £1 some time back and research the Ozone layer. They also still their own vodka and sell this to passing tourists for $3 a shot. Wow!. There is a fully functional bar inside built by the British. On Deception Island, an old whaling station was abandoned in the 60s, after a volcanic eruption covered everywhere with ash. Buildings, boat and a few other odds and sods remain. 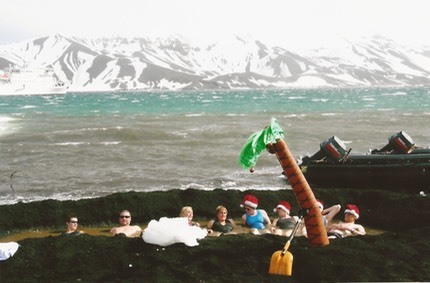 The guys from the boat dug out a shallow pool which filled with warm water, enabling us to have a dip. The palm tree, put up to make it look nice, was auctioned off on the return journey, and I'm pleased to say we brought it and it is now a feature of our Xmas decorations. All the money raised in the charity auction went to help save albatrosses. 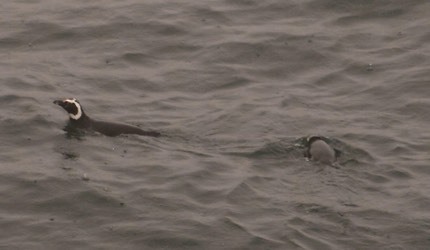 The birdlife on the trip was limited in variety but unbelievable in quantity. 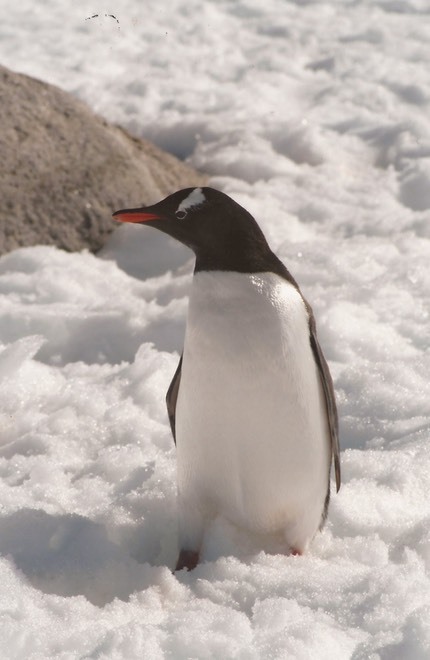 Huge flocks of seabirds versus huge colonies of penguins, most of it quite inquisitive which meant good photographs were there for the taking.